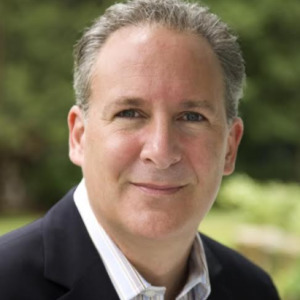 Peter Schiff Euro Pacific Capital Inc.
Peter Schiff is the President & CEO of Euro Pacific Capital, an SEC-Registered Investment Adviser and a full service broker/dealer. He is one of the few widely known economists and investment professionals to have warned about the financial crisis before it began. As a result of his commentary on the U.S. stock market, economy, real estate, the mortgage meltdown, credit crunch, subprime debacle, commodities, gold and the dollar, he is becoming increasingly more renowned. He is a widely followed opponent of debt-fueled growth policies and known for his advocacy for emerging market and commodity-focused investments in countries with positive fiscal characteristics. Mr. Schiff has been quoted hundreds of times in leading news outlets around the world, including The Wall Street Journal, Barron's, Die Zeit, Tokyo Shinbun, South China Morning Post, Investor's Business Daily, The Financial Times, The New York Times, The Los Angeles Times, and The Washington Post. He regularly appears on CNBC, CNN, The BBC, Al Jazeera, Fox News, and Fox Business Network. His best-selling book, "Crash Proof: How to Profit from the Coming Economic Collapse" was published by Wiley & Sons in February of 2007. His fourth book, “The Real Crash – America’s Coming Bankruptcy” was published by St. Martin’s Press in May of 2012.